The active ingredient in herbicides sprayed on genetically modified herbicide-resistant crops such as corn and soy is a mineral chelator, according to a new report by Jeffrey Smith of the Institute for Responsible Technology. In other words, the herbicide ingredient grabs vital nutrients and doesn’t let them go, depriving plants of essential minerals needed for healthy function and leaving them susceptible to disease. Could 2011 Be the Year We Create a Non-GMO Tipping Point? (Opinion) – Last year there was an unprecedented increase in awareness in the United States about genetically modified organisms (GMOs), important victories in court, and key steps forward in educating larger groups of people about GMOs and how to stay away from them. With experts predicting more of an upsurge of consumer concern in the United States this year, could 2011 be the year that consumer rejection starts to shut the door on these untested, harmful Frankenfoods for good? Although no one really knows for sure, there are several encouraging signs that that time is coming, if not this year, then within a year or two. My Holistic Nutrition Counseling and Coaching Have Gone International! I am happy to announce that I am now accepting clients not just from throughout the United States, but also from other English-speaking countries including Canada, New Zealand, Australia, and the United Kingdom. I continue to emphasize integrative holistic nutrition focusing on the whole individual, the particular health conditions and health history a person has, the habits/lifestyle he or she has, and the health goals he or she wants to achieve. I specialize in customizing gluten-free diets, grain-free diets, and/or low-carb/low-glycemic diets for the individual and am increasingly educating and counseling clients on the dangers of genetically modified foods (often called GMOs or genetically modified organisms) and how to avoid them in their diets. (Opinion) – Refined carbs, not fats, are what is making us fat and sick. It isn’t really news, but I guess it is when a mainstream newspaper like the Los Angeles Times runs a big feature on the topic right before the holidays. 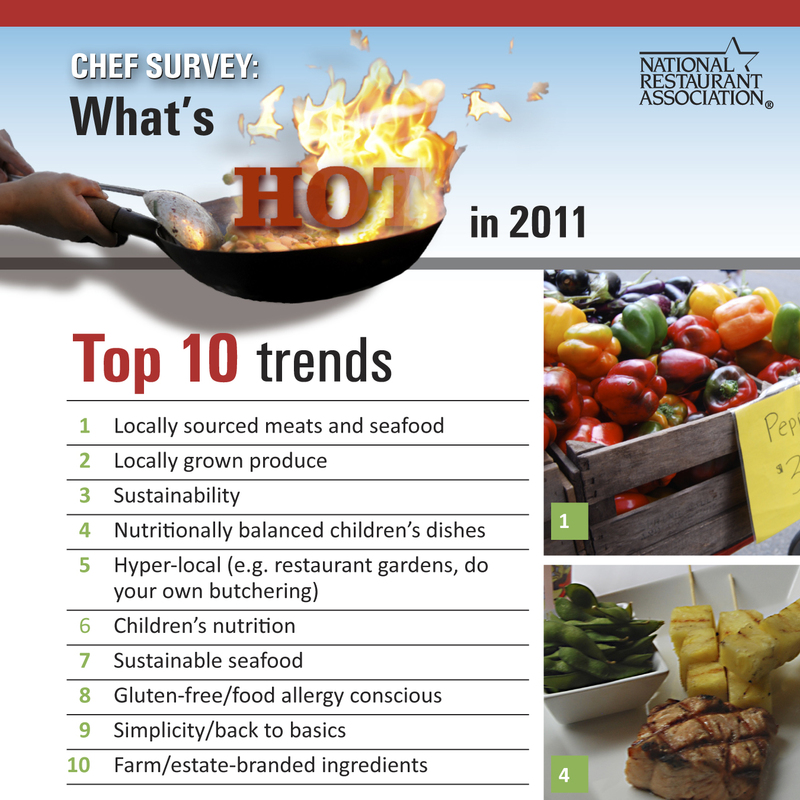 If the National Restaurant Association’s “What’s Hot in 2011” survey of more than 1,500 professional chefs is any indication, 2011 will be a very good year for people who eat against the grain. Local food, sustainable meat and seafood, healthier children’s meals, and gluten-free cuisine will be among the hottest trends on restaurant menus in 2011.